I have to admit, I was nervous when I took on this challenge. 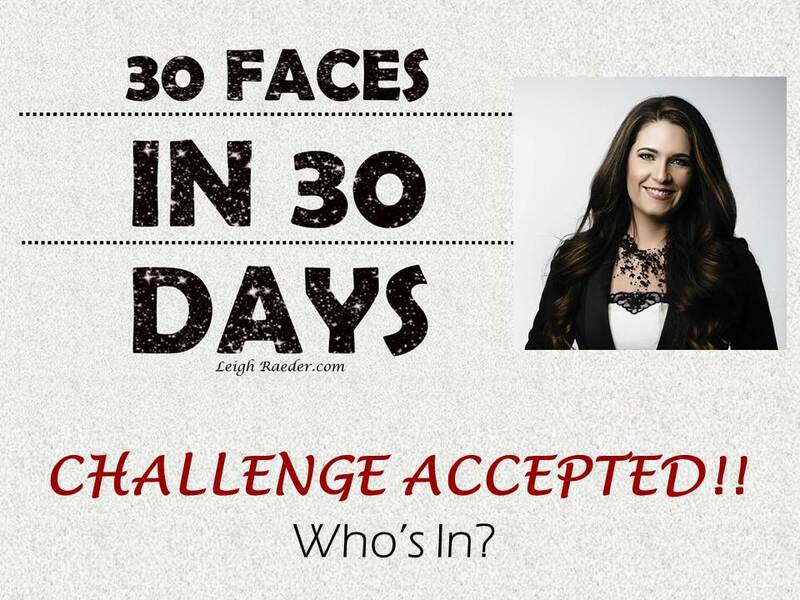 30 Faces in 30 Days? Could I really get 30 faces done in 30 days? I thought about all of the reasons why it would be difficult…did I have enough time to fit it in, would I find enough people that wanted to participate? There was a lot scheduled this month already, Thanksgiving, kid’s activities, I even had a medical procedure scheduled! But, one of the things that I’ve learned about myself, is that I succeed when I push myself and if you don’t have goals, it’ll never happen!! So I put it out there. The response was overwhelming! I immediately had woman contacting me. What I have realized over my career, is that so many woman don’t know “How”. How to apply, what colors to use, how to address certain issues, or concerns. So many woman are afraid of makeup! I am having so much fun with this challenge. I hope that those that I have met with so far, have learned something from me that will help them. You don’t always have to wear a lot of makeup. These are real, every day woman, who are all beautiful WITHOUT makeup, but makeup can be used to enhance or even things out, and sometimes it nice to jazz things up a little!